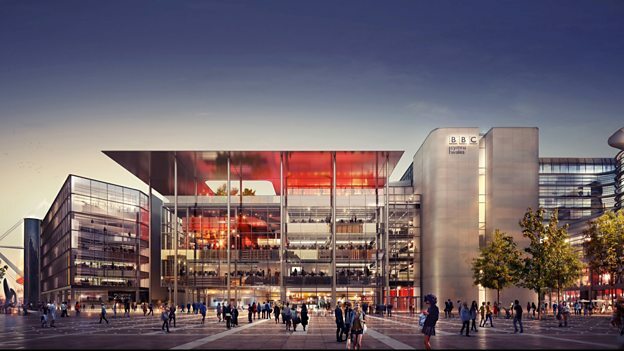 BBC Wales is set to become a leader in next generation technology when it moves to its new home at Central Square in Cardiff. The BBC has confirmed that the new broadcast centre will become its first facility in the UK to deploy new IP technology across both its production and broadcast operation. The site, in Cardiff city centre, is due to go live later this decade. IP technology revolutionises the way data and signals are carried, providing far greater flexibility and enabling BBC Wales to adapt quickly to future requirements. It will work with the Canadian company Grass Valley and the US technology giant Cisco to introduce the new IP (Internet Protocol) technology across the facilities at Central Square. IP is expected to replace much of the traditional SDI technology (Serial Digital Interface) that is currently used extensively by the BBC and other major UK broadcasters. With the new technology, BBC Wales will be able to meet the demands of UHD and other technological advances. “IP is an investment in BBC Wales’ creative future - and will put us at the vanguard of broadcast technology developments in Europe. The introduction of IP will also enable BBC Wales to use their facilities at Central Square more flexibly. Unlike SDI, data and signals can flow in every direction, which means different devices dotted around the building will be able to recognise and ‘talk’ to each other. This will mean, for example, an IP-enabled microphone can be controlled by any sound desk anywhere in the building, and any TV gallery could control any IP-enabled camera.